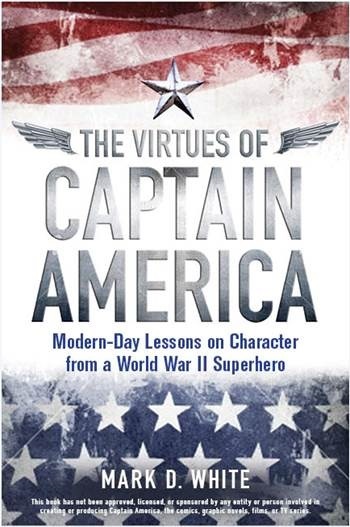 Cap’s ennui this time has two specific themes: his lack of a life outside of being the legendary hero of World War II… and that his image is stuck in the days of World War II, driven home when he finds himself part of the “nostalgia craze” of 1970. This reflection nicely complements his monologue in issue #122 about society’s love of the rebel and anti-hero and rejection of the establishment and anyone connected with it. …but we can chalk it up to a bad case of the anachronisms, to which he overreacted by considering throwing out of his costume, but thankfully pulled back from the brink before he pulled an Amazing Spider-Man #50. Cap decides to get a bike… but not without dredging up his past (with some over-explanation from his conscientious scribe). You know what else was an anachronism in 1970? Riding a motorcycle without a helmet (in most states in the US, at least). But it’s good to know he wasn’t speeding. You have to wonder what name the officer booked him under (if he even did), or what ID Cap gave him (if he even did), since as far as the public knows he “killed off” his Steve Rogers identity back in Captain America #111. Anyway, it just so happens that a motorcycle gang—the Satan’s Angels mentioned so subtly on the splash page—arrived in town just in time to see Steve hauled in, and decides to break a fellow biker free. The Satan’s Angels gang turns their attention to terrorizing the hippies at the local music festivals, and this is enough to get Cap in costume again. The kids enjoying the festival decide to help Cap, “cornball or not,” but this just makes Cap even more concerned about their safety. One kid does get injured, someone we met earlier in the issue: the brother of the gang leader, which gives a chance for Cap to tie this experience to the greatest loss of my life… and for someone else to find his greatest enemy. In the end, the real Satan’s Angel… was the Red Skull. They so should have said that.